The kind of lawyers I would want to have. As one of the top family law and divorce attorney firms in Orlando, FL, we understand that divorce, child custody, and other situations that require a family lawyer can be one of the most stressful and painful times of your life. No one expects to need to hire a divorce attorney and the legality of everything can be quite confusing. You do have options and you do have a chance of coming out of the other side happy. Our team of lawyers at Grigaltchik & Galustov can help you navigate the sometimes tricky world of divorce and family law, helping to solve disputes that require delicacy and compassion but aggressiveness at the same time: divorce, child custody, domestic violence and abuse, and changing custody agreements. We can help with asset distribution, enforcement, relocation, and modification. Even more importantly, our team will explain everything to you so that you walk away feeling like you have all of the tools you need to move on with your life. Divorce and custody battles can leave everyone feeling untethered and lost, so our aim is to fight for what is best and then help you to keep it. Our team of divorce lawyers and family lawyers at Grigaltchik & Galustov is here for you throughout every stage of the game. You can be confident that you will have the best attorneys fighting for you and representing you. In cases where your reputation is taken into consideration, you need to have a team with a good one backing you up, which is where we come into play. Divorce and other family law matters can be extremely disruptive to the lives of your entire family. When it comes to these situations, it can be important to have a lawyer that is willing to sit and listen to your thoughts and feelings, as well as your fears and hopes. This is a unique part of the law because it isn’t always dictated by hard and fast rules – there is room for some moldability here. As experienced Orlando divorce lawyers, our team has the knowledge and experience needed, and we also have the compassion that is required for the most sensitive of cases. We will take the time to fully understand what happened in your family and provide you with an honest look at your case. We understand that people make mistakes and situations happen that you have no control over. In the end, we will explain your rights to you and help you think realistically about moving onward from this. We will talk to you without the legal jargon, just as people who are members of families. Most importantly, we will focus on amicability settling this issue, making it easier for your entire family. We also understand that sometimes it isn’t possible to be amicable. That is why we are also prepared to go in aggressively to fight for your rights and parental rights. Family law is a highly personal sector of the law, focusing in on the things we hold nearest and dearest to our hearts. This also means that it can be complex – not only are there laws to work around, but emotions, finances, and personal choices. What you want may not be what is best for your child or perhaps not everyone can agree on what is best. These moments are hard and require deep thought and clear action. We will take the information you give us and examine it, looking at what the best possible scenario is for your family, and then provide you with your options. In many cases, you will have to take everything to court and fight it out. We will outline a plan that will help you to get the outcome that you desire. This is a plan that we draw up specific to your family and your case. Since every family and every situation is unique, your plan needs to be as well. Our aim is to look at the situation from every angle possible so that you can tackle any issues head on and know what to anticipate going into the situation. We don’t stop there – we will help you to create and define another plan that will help you to live with the decisions of the court. Joint custody in Orlando is one of the most common solutions we come to in courts. It means that while the parents don’t live together, they do share in the decision making and responsibilities for the children. Joint custody is the most likely solution and should be the easiest. This is because the courts set everything out in legal documents. However, those legal documents can be confusing and difficult for everyone to understand and follow. Joint custody means that parents share custody and the child’s time is split between each parent, though what that time is will be determined in each individual case. Parents can be awarded physical and/or legal custody in this manner. 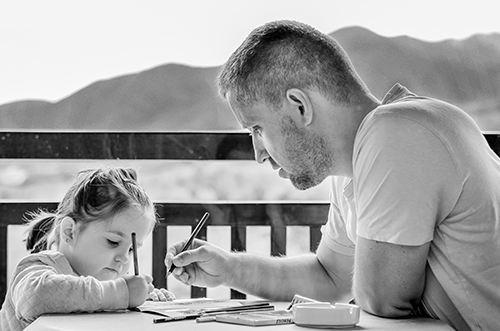 When you are awarded joint custody, this means that you will need to make some significant changes in your life and your schedule so that you can maximize your time with your children. Things like housing, schooling, and schedules need to be taken into consideration. Of course, this can cause friction not only with the child’s other parent, but also with the child. If parents and children are not able to come to an amicable agreement, an Orlando family attorney can help to arrange an agreement. One of the most common child custody arrangements is to split time by weeks, though there are cases where people can alter months or even years. Sometimes a 6-month agreement or weekend/weekday arrangements work better. Of course, holidays are a contentious time as well. Once again, the most important thing is your child. When arranging child custody, it is important to have a child custody lawyer on your side that will fight for you and your child. There are advantages and disadvantages to all situations and sides. That is why it pays to have a lawyer who is willing to listen to your situation. Even more importantly, if you find that your situation isn’t working out or that your child is suffering from the agreement, our lawyers can go back in and negotiate for you. No two divorce or child custody cases are the same, even within Orlando. When two people are dealing with the same issues or similar cases, that does not mean that they can be resolved in the same way. We will approach your case from a perspective of knowledge, meaning we know what has happened in previous cases and how we can use that to our advantages, but also in a way that focuses on your. We understand where you come from, which allows us to customize a solution to your family. We know that your time is short and you are already facing a lot of stress. No matter what family law issue you face, your time, energy, and money is going to feel like it is running low. That is why it is our goal to help you resolve the situation as effectively and efficiently as possible. Sometimes this is easy and other times it isn’t, we help you weigh the pros and the cons of drawing things out. Some people prefer a simple mediation while others need to go to court to get what they want. We practice family law seriously and are in court every single week helping litigate family law issues, child custody agreements, and divorce cases. Absolutely no one wants to deal with legal matters when it comes to their personal lives – no one wants to be told when and how they can see their children. However, it is a part of life and when it is something that is required, a competent and resourceful Family Law Attorney needs to be on your side and willing to fight for you. Our team at Grigaltchik & Galustov have many years of experience working with families from the Orlando area, helping them to keep dignity and connectedness while going through something that is admittedly very difficult. Our staff is discreet and helpful, available at all times to work with you and your loved ones. Contact us today at (407) 501-6679 for a no-obligation consultation and we will help you to see where your case can go, as well as show you what sets us apart from every other Orlando family lawyer.